Carnegie Mellon University's Biomedical Engineering and Chemical Engineering Professors Bob Tilton and Todd Przybycien recently co-authored a paper with Ph.D. students Brittany Nordmark and Toni Bechtel, and alumnus John Riley, further refining a process that could soon help provide clean water to many in water-scarce regions. The process, created by Tilton's former student and co-author Stephanie Velegol, uses sand and plant materials readily available in many developing nations to create a cheap and effective water filtration medium, termed "f-sand." "F-sand" uses proteins from the Moringa oleifera plant, a tree native to India that grows well in tropical and subtropical climates. The tree is cultivated for food and natural oils, and the seeds are already used for a type of rudimentary water purification. However, this traditional means of purification leaves behind high amounts of dissolved organic carbon (DOC) from the seeds, allowing bacteria to regrow after just 24 hours. This leaves only a short window in which the water is drinkable. While the basic process was proven and effective, there were still many questions surrounding f-sand's creation and use—questions Tilton and Przybycien resolved to answer. Would isolating certain proteins from the M. oleifera seeds increase f-sand's effectiveness? Are the fatty acids and oils found in the seeds important to the adsorption process? What effect would water conditions have? What concentration of proteins is necessary to create an effective product? However, through the course of testing, Tilton and Przybycien found that this was not the case. Fractionating the proteins had little discernible effect on the proteins' ability to adsorb to the silica particles, meaning this step was unnecessary to the f-sand creation process. 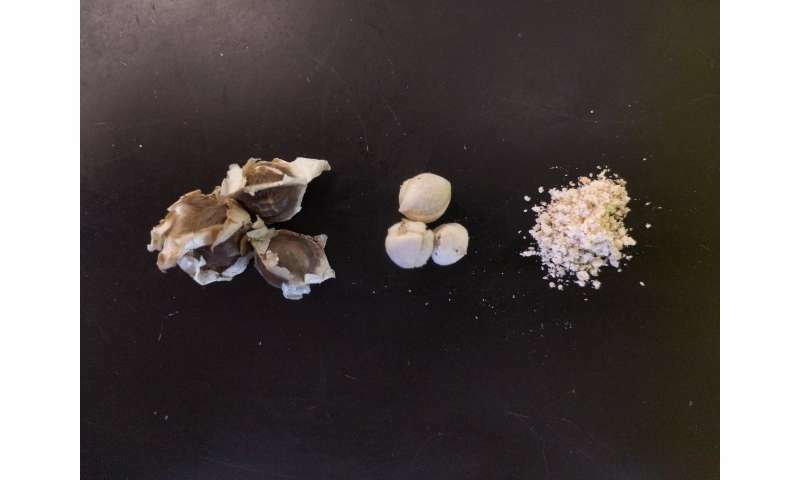 "There's kind of a sweet spot in the middle," says Tilton, "and it lies in the details of how the different proteins in these seed protein mixtures compete with each other for adsorption to the surface, which tended to broaden that sweet spot." Overall, the conclusions that Tilton, Przybycien, and their fellow authors were able to reach have major benefits for those in developing countries looking for a cheap and easily accessible form of water purification. Their work puts this novel innovation one step closer to the field, helping to forge the path that may one day see f-sand deployed in communities across the developing world. They've shown that the f-sand manufacturing process displays a high degree of flexibility, as it is able to work at a range of water conditions and protein concentrations without requiring the presence of fatty acids or a need for fractionation. "It's an area where complexity could lead to failure—the more complex it is, the more ways something could go wrong," says Tilton. "I think the bottom line is that this supports the idea that the simpler technology might be the better one." To regenerate the f-sand you 'wash out' the gunk. With what? Clean water? The scarce thing you're trying to produce? KISS is among sciences best practices. LB, the hole is in your education. TANSTAAFL. Look up the Laws of Thermodynamics and realize those apply to every action. Didn't you ever wonder why your car's ICE only uses about 25 to 30% of the energy stored in a gallon of gasoline? And that is only due to strict regulatory authority based on rigorous scientific research. Now under the trumpster and pennyweight? Science is to be declared illegal. Applying science seems to be the only illegal act the bobbleheads in the WH will not embrace. Lasciviously and avariciously. ...Now under the trumpster and pennyweight? Science is to be declared illegal. Applying science seems to be the only illegal act the bobbleheads in the WH will not embrace. Lasciviously and avariciously. Your political bias is showing. And your declaration that "science is to be declared illegal" is a false assumption of which you have no evidence, nor could you ever have such evidence since the ONLY evidence that you present here is your sad attempt at misrepresenting the aims/goals of the Trump Administration. This is a science website, not a forum for political action/fake news. And when did Science become an illegal act?? Perhaps in your clouded mind that seems to be determined to embarrass yourself for which you cling tenaciously as though in a life and death struggle. Oh, S_E_U! Before you criticize my comments? First you will need to wash the filth from your own commentaries.